Years of saying to myself ’This is not personal’ when people (or life for that matter) were behaving differently than I wanted has opened up my life in ways I could have never imagined. I have learned that the fruit of not taking life personally is to live free of expectations. This, to me, is nothing short of a miracle. Not expecting people to be or situations to unfold a certain way. Being open to the infinite possibilities of this moment. Knowing the outcome will be good no matter what. Trusting it will be exactly what I need right now. Seeing the perfection in everything. Being grateful, always. Knowing that I am blessed. And so are you. I believe everything is made of energy. Through this energy we are all interconnected. You are part of me and I am part of you. For this reason, I am responsible for the energy I emit. I can choose for it to be poisonous or healing, to be angry or loving. I can choose to give or take, to fuel or drain you. I believe my energy can be bright, my presence a loving awareness, my intentions pure like the Light that is within all of us. I believe I am a Light, meant to shine like a beacon. And so are you. So are you! Acceptance of any unwanted situation leads to the peace of mind one needs to get out of that situation. Acceptance brings about clarity, a goal and the power to act. I may not like where I am today, but such thoughts will not help me get out of here. Instead I try to focus on what is good, to give my best at any given moment. Because it is only in this moment, right now, that I have the power to take one step in the right direction. It may be a small step, and that’s okay. Even the smallest step, when repeated, leads to the promised land. Over the last year, I’ve become a firm believer that my thoughts and emotions create my reality. A few weeks ago, I learned an even deeper truth. During my time in France, I learned that one man on our campsite was suffering from colon cancer. I honestly was perplexed as the man in question seemed the healthiest of all. Almost automatically, I started thinking of him as a man with cancer. And it felt wrong. All of a sudden, I knew it would have been better for this man if I had not known about his illness. It would be best if I perpetuated to see him as this healthy man I had imagined him to be. With children it is true that they live up to your beliefs. They are formed through the energy you invest in them emotionally, the deep beliefs you hold true, positive and negative. I am convinced it is the same with everything else. With my thoughts and emotions, I not only create my reality, I create our reality, I co-create your reality. I’d better make sure I envision the best for us, for you. As for the man on our campsite, whenever he crosses my mind, I try to think of him as the man who’s caravan was rammed by an other caravan, the youngest of two brothers, the man who took his bike in the morning to fetch a pain, a healthy man. Period. 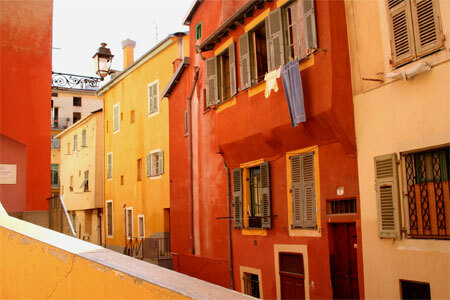 I just spent three wonderful weeks at the French Riviera with my partner and daughter. We didn’t do much. We went to the beach occasionally, we ate fresh French bread and stinky cheeses, drank some yummy rosés, and we read some thrillers. But mostly, we ran after our one and a half year old daughter who was exploring a new and exiting world. She even learned to say ‘bonjour’ and ‘au revoir’. Needless to say, the French adored her. P.S. One of my posts – Question everything - has been spammed enormously. I have taken it off the air. Grant, my apologies for the inconvenience!